Going all Creed on us, Shaft is getting a reboot — complete with three generations of the movie hero. And for the curious, a new trailer has arrived. 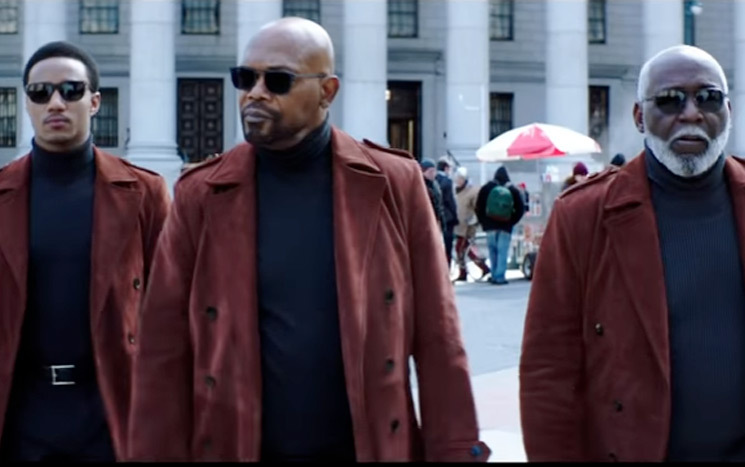 Richard Roundtree, Samuel L. Jackson and Jessie Usher star in the new Shaft reboot, which was previously going under the now-abandoned title of Son of Shaft. As you'll see in the trailer, the upcoming flick appears to be packing equal doses of action and comedy, as well as a big budget. The movie was written by Black-ish creator and Girls Trip writer Kenya Barris alongside co-writer Alex Barnow. Tim Story (Ride Along, Barbershop) is directing. The movie's brief synopsis reads: "John Shaft Jr. (Usher), a cyber security expert with a degree from MIT, enlists his father's (Jackson) help to uncover the truth behind his best friend's untimely death." So far there is no firm release date for Shaft, but it is expected out this summer via Warner Bros.